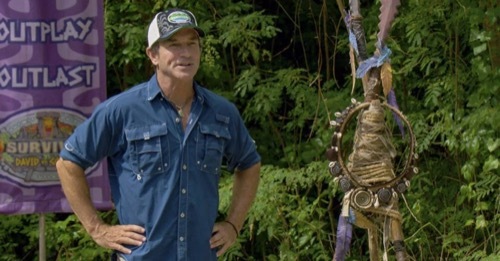 So make sure to bookmark this spot and come back from 8 PM – 9 PM ET for our Survivor recap. While you wait for the recap make sure to check out all our Survivor news, spoilers, recaps & more, right here! Tonight’s Survivor David VS Goliath recap begins now – Refresh Page often to get the most current updates! Nick came to doubt some in his alliance on tonight’s all-new episode of “Survivor”. He and the other Davids had joined up to gain the majority and in a night two of members of this same alliance gave it away. Both Gabby and Christian had acted rashly. They had gotten rid of Carl because they didn’t like how everyone thought Carl was the brains behind the operation. They thought they should gain the respect for what they did and so they put everything they worked towards in jeopardy because they had been jealous. They wanted to gain recognition and now they have as people that shouldn’t be trusted. They didn’t consider all the risks they took and so Nick wasn’t even sure if he wanted to protect either of them if they ever up on the chopping block again. And he was someone that saved Christian in the past. Only the tribes later received a happy surprise. They were greeted by loved ones at their next challenge and they were told that winners of the challenge got to spend a little time with their families. So, of course, everyone wanted to win this challenge. The challengers were split off into teams of twos and the one team that everyone thought would come in last had made a surprise turnaround. Nick and Angelina had been slow beginners and then won when they both got their ball to balance on a beam. Winning the challenge meant that they got to spend the day with their parents and it also meant they choose two other people to do the same with their own family members. And so it wasn’t surprising when neither of them chose to pick Gabby or Christian who had to wave their families goodbye. Nick, Angelina, Davie, and Mike used their bbq to talk with family and they also threw in some strategy. They agreed that they should be the final four because they don’t trust everybody else and so they were going to try to eliminate the others until it was just down to them. Davie hadn’t been part of their alliance for long and he wasn’t quite sure how it felt about it though he knew that he could play both sides until one eventually won out. It was the same strategy that Mike was using and so the only ones that truly believed in this new alliance were Nick and Angelina. And they were only willing to form a new alliance because they didn’t want to be attached to their old one with Christian and Gabby. The latter two had disgusted pretty much with what they did to Carl and surprisingly they were even willing to turn on each other. Gabby had seen how Christian comforts other people and she knew that what he did for her was part of his strategy. He wanted to be everyone’s friend because he thought that would get them to keep him around and all it did was turn Gabby against him when she saw him doing the same thing for other girls. Gabby went to some of the others and she said the next person she wants to get out was Christian. She said everybody thought she was Christian’s stooge and she was her one person. She wanted to official prove that by getting him out and so she talked to Alison and Kara. She wanted to get their agreement that Christian should be out next and they were onboard. And so Gabby then went to the group that hadn’t been there and she got their agreement as well that Christian should be eliminated. Gabby thought she had won over everyone and it turns out Davie hadn’t been convinced. He faked it in front of the others and then went running to Christian. Christian had been shocked that his closest ally had turned against him and so he decided to play the game. He talked to Nick and apologized for what he did. The two talked about it and they both decided that they should put Alison up for elimination, except Christian had again lied to his friend. He didn’t want to get Alison out. He thought about it and realized that he needed to eliminate Gabby. He and Davie concocted a plan in which Christian would play his idol and Gabby would then be eliminated. She knew nothing until they went into tribal. That’s when Christian had taken a good look at her and then played his idol ensuring he couldn’t be eliminated. So Jeff went through all the votes. He ignored the votes for Christian and counted the ones that went to someone else. There had been one vote for Alison (Nick) and two for Gabby (Christian and Davie). And so Gabby was eliminated on tonight’s episode of “Survivor”.